Remedy is New Apple’s 2017 Solo Medallist in Fantasy! I am really pleased to announce that Remedy, book three in The Forgotten Legacies series, has been chosen as the Solo Medallist in Fantasy for the New Apple Book awards 2017! I found out on the 15th February and I’ve been grinning ever since. To my shame it has taken me this long to announce it. Last year was such an amazing year for my writing, Darrienia was a semi-finalist in the Kindle Book awards, The Severaine received a Readers Favorite 2017 award for dystopian fiction, was a finalist in the Independent Author Network book for the year awards for two categories, fantasy and action/adventure, and was an Official Selection in the New Apple Awards, and now Remedy has joined the award winning ranks as the Solo Medallist for fantasy in the New Apple Award for Excellence. I honestly can’t even begin to express how amazing it feels. When I first started writing I never dreamt I would receive an award, and now, if you include the 2016 Independent Author book of the year award for ‘Outstanding Fantasy’, Darrienia received, I have won a staggering five, not to mention that each book in the series has been awarded 5 Stars by Readers’ Favorite, I’m really blown away, and honoured, by it all. I really want to take this moment to thank everyone who has supported and encouraged me. I am grateful to all of you, my followers, readers, friends, and family. Without you I would never have had the confidence to see this through. On that note, I am currently revising the final book in the Forgotten Legacies series tetralogy, which is aimed for release in early 2019. It’s a larger undertaking than I initially anticipated since I decided I could do better and scrapped everything after the first few chapters. I really hope that I can continue to live up to the promise I made when I released my first book. Thank you all again, your continued support and encouragement humbles me. I hope you enjoyed my Christmas advent. Out of the 100+ books I have read this year it was really difficult to narrow my list down to just 24 to recommend. I hope there has been something to pique your interest, and I just want to say thank you for joining me for my book advent calendar. Darrienia – Will they discover the truth in time? Or will those who should be heroes, become nothing more than the pawns of evil? Settle down this Christmas with the winner of the IAN 2016 Outstanding Fantasy award. It is said that the past always returns to haunt you. Yet some forgotten pasts have whispered names and a debt for collection. Dangerous curiosities stir a hidden darkness, one that patiently waits to seize control. The subtle periphery between dream and reality is in peril and those chosen must face the evil behind this looming disaster. But lurking in the shadows, guiding their hand, lies the true threat and a hidden agenda. Will they discover the truth in time? Or will those who should be heroes, become nothing more than the pawns of evil? The Severaine – There are some bonds even death cannot destroy. Civilisations rise and fall leaving only dust and legend in their wake. Kingdoms were lost, and races forgotten. Across the countless span of time one threat rises, heralding the end of man’s rule, and laying to waste those who defiled its mistress. It is known as the Severaine, a power that in vengeance could bring even the Gods themselves to their knees. Each era overcame this peril so a new world could rise from the ashes of old. Lost within such wisdom could be the answers our heroes seek, a means to stop the threat before a new cycle is born. But legends can lie and history can be mistaken. There is another tale, a fable on the lips of few, it speaks of the means to force this power into submission, and there are those who would seek to bend this devastating might to their will. Creatures rise, guardians wake, and sometimes even the meddling hands of man can turn divine plans awry. The prophesies of old were reforged by death and whisper now a chilling truth. If this path continues unobstructed there is only one conclusion. The end of man and god alike. But there are some secrets that should never be uncovered and paths which mortals must fear to tread. When revenge knows no boundaries there are some bonds even death cannot destroy. This book covers a wide range of herbs and their uses in both medicinal and magical practices, including sections detailing extraction and application. It also provides comprehensive step-by-step instructions on making a wide range of items encompassing creams, herbal bags, incense, salves, tinctures, and poultices. Presented in an easy to understand format, with an added definition of terms, making it an asset to anyone wishing to utilise the beneficial properties of herbs. Thanks for stopping by, and don’t forget, all my books donate a percentage of the royalties to charity. It is with great pleasure I welcome the author of the Displaced series, Stephen Drake. I’ve recently had the pleasure of reading the pre-release version of Civilization, it was so brilliant I’ve since purchased book one. If you love vivid characters, brilliant dialect and an engrossing plot you’ll love this author. High School, Tech School, Military. I’ve worked all kinds of jobs before. I’m a retired computer programmer of 20+ years. 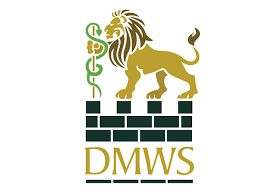 The St John and Red Cross Defence Medical Welfare Service (DMWS) who provide practical and emotional support to military personnel, their families and other entitled civilians when they are in hospital, rehabilitation or recovery centres and support patients from all three services, wherever they serve. Whilst only the e-book is available for pre-order I would like to remind my readers that if you buy the paperback of any of my books: Herbal Lore, Darrienia, and The Severaine, through Amazon as it is enrolled in the Kindle Matchbook program you will can get the kindle edition for free. It is with great excitement and pleasure I take this moment to reveal the cover of my next book, The Severaine, Book 2 in The Forgotten Legacies Series. I want to take a brief moment to thank the person who painstakingly designed not only the cover, but the amulet from the description in my book. This cover is beyond what I could have hoped for. You know who you are, you don’t wish to be named, but thank you. Darrienia, a finalist in the 2016 IAN book awards! Those of you who follow me on social media will already have heard the brilliant news. This morning I was informed that Darrienia, Book one in The Forgotten Legacies Series is a finalist in the Independent Author book of the year awards. I can still barely contain my excitement. I am so truly honoured to have made it this far and can honestly say I never expected it. I want to take this opportunity once again to thank everyone who has encouraged me. As you all my know my book Darrienia hit the Amazon.com number one best seller in two categories for a little over two weeks. An amazing achievement for which I thank my wonderful readers. Given the recent interest it has been suggested to me, by a number of you, that I should release my book across other platforms. Your words have been heeded my friends. Darrienia is now available on Blio, iBooks, Inktera, Kindle, Kobo, Nook, Oyster, Scribd, Smashwords and Yuzu. Not to mention enrolled in e-book library distribution and reaches OverDrive (world’s largest library ebook platform serving 20,000+ libraries), Baker & Taylor Axis 360, Gardners (Askews & Holts and Browns Books for Students), and Odilo. So whatever your preferred device you can rest assured you can find it. As a special thanks, until the end of July, for anyone who has already purchased my book on Kindle I will provide a coupon for Smashwords with 100% price discount allowing you to download the book for free on your desired device. To get your voucher simply complete the contact form at the bottom of this post and include your Amazon order number as proof of purchase and I will send you a code. Done forget, book two of the Forgotten Legacies Series will be out later this year. When I first published my books you may remember my promise to donate a percentage of my royalties to charity. With all the figures in for the tax year I have no made true on this promise, and then some. I want to say a big thank you to all those who have brought my books and in turn also supported these causes. I am currently hard at work on editing the second book in the series, with the help of my wonderful Alpha reader, as well as making some revisions to book three. Here is wishing you all a wonderful week. My heart is pounding ridiculously fast at this moment in time, there I was just checking to see if any of my wonderful readers had posted any more reviews on Darrienia, when I noticed my seller’s rank figure. Now yesterday I was thrilled to see it climbing its way up to 2000 in its category, but what should I see, not 2000, not even 1000, but there, on my screen staring back at me is a new updated rank of 237! I had to look twice, well three or four times if I am being honest. Well seeing this I couldn’t contain my excitement, I came running downstairs to get a screenshot before it has chance to sink back into the depths. I just wanted to take this opportunity to say a big thank you to everyone for helping me reach this amazing feat. It’s only thanks to you all that I am currently dancing around my living room, trying desperately to reign in my excitement so not to wake my little one. I honestly can’t give enough thanks, so I will simply say it once more. Thank you so much, I can’t express how much reaching this means to me, and if I never see this end of the ranking again, I will always know that thanks to the support of all you wonderful people I made it once. Well here is wishing you a good night sleep, as for me, I think sleep may escape me and my excitement for some time yet. Darrienia and Herbal Lore are now available. If you enjoy fantasy, or would like to know more about the uses of herbs in magical or medicinal practices, don’t forget to pick up your copy today.